How much temptation can a Highlander resist? Fierce Scottish brothers shadowed by a dark curse face steamy new adventures in the second book in Kresley Cole's thrilling new trilogy. In his youth, Hugh MacCarrick foolishly fell in love with a beautiful English lass who delighted in teasing him with her flirtatious ways. Yet he knew he could never marry her because he was shadowed by an accursed family legacy. To avoid temptation, Hugh left home, ultimately becoming an assassin. Jane Weyland was devastated when the Highlander she believed would marry her abandoned her instead. 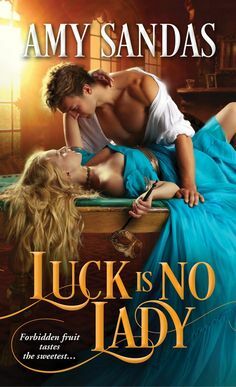 Years later, when Hugh MacCarrick is summoned to protect her from her father's enemies, her heartache has turned to fury -- but her desire for him has not waned. In hiding, Jane torments Hugh with seductive play. He struggles to resist her because of deadly secrets that could endanger her further. 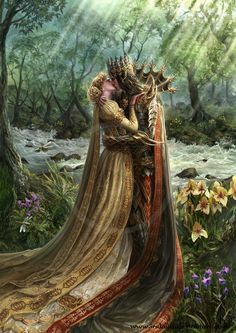 But Hugh is no longer a gentle young man -- and toying with the fever-pitched desires of a hardened warrior will either get Jane burned...or enflame a love that never died. Ethan, has been blistering with vengence for ten long years. When he sees Madeleine, he is utterly captivated, and is bewildered by it, because she isn’t his usual type of woman. Ethan has been mocking his two brothers who have fallen for their women and acted like ‘idiots and fools’ and plans on never being like they are, totally besotted. But the more and more he is surrounded by Madeleine and her sweet spirit, he will fall hard and fast like nothing before and will be too lost before he can escape. If You Deceive is the third in the MacCarrick series, and I have read a book or two from this author but they were average liked reads, so I haven’t read much from her since, but when I read a really good review of If You Deceive I knew I had to give her historical’s a chance, and I think I just loved this one and I am much looking forward to reading the rest in the series. I loved how there were different twists and turns throughout the story that continued to surprise me at every turn….the passion and heat between Madeleine and Ethan was body tingling, and the fast paced action kept me in suspense. The writing in If You Deceive was tantalizing and drew the reader into her story with a superb talent that I hadn’t experienced from this author…looking forward to reading more from her!! A Splendid Read! !